Simpson Millar are a firm of Solicitors that are dedicated to helping people that are unlucky enough to experience an accident in foreign countries. 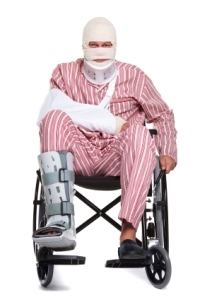 Every year we settle hundreds of compensation claims involving people that are injured abroad. £27,500 in damages for a lady from Australia who injured her knee in Greece on a cruise liner provided by Louis Cruises. £3,500 pay-out to a man from Slough who suffered a whiplash injury on a First Choice coach transfer in Tunisia. No matter where you travelled, as long as the accident was on a package holiday and someone is at fault, it is likely that we can help you bring a personal injury claim against the travel company responsible. One of the secrets of our success is that most of our travel lawyers have actually worked in the customer legal departments of the major tour operators including First Choice, Thomas Cook, Thomson and Airtours. This means we have inside information about the health and safety procedures that the tour operators responsible for your holiday do not want you to know about. If would like Legal Advice for an accident that happened on a foreign holiday within the past 3 years we suggest that you speak to one of our holiday lawyers today. With the minimum of fuss you could find yourself earning double, treble or event ten to fifty times the cost of your holiday, dependent on the extent of your injury. Remember that we are running a no win no fee promotion at the moment whereby the first £2,000 of any compensation awarded is ring fenced – in other words you will receive 100% of the first £2,000 we are successful in claiming for you. If you need legal advice in relation to a Slip or Fall on Holiday or Sickness whilst Abroad then get in touch with your specialist Holiday Claims team on: 0808 145 1353 or visit our On-Holiday-Claims website for further information.